No need to mess with a good carrot cake recipe. Totally agree, unless it’s to add chocolate. 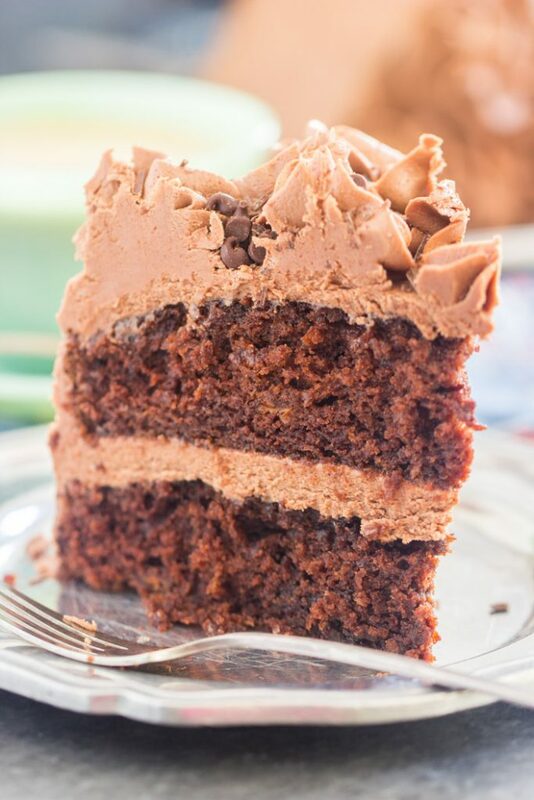 You must try Chocolate Carrot Cake. The only thing that’s really different about this Chocolate Carrot Cake from classic carrot cake is, in fact, the chocolate. That’s really it. I added chocolate to carrot cake in every component. 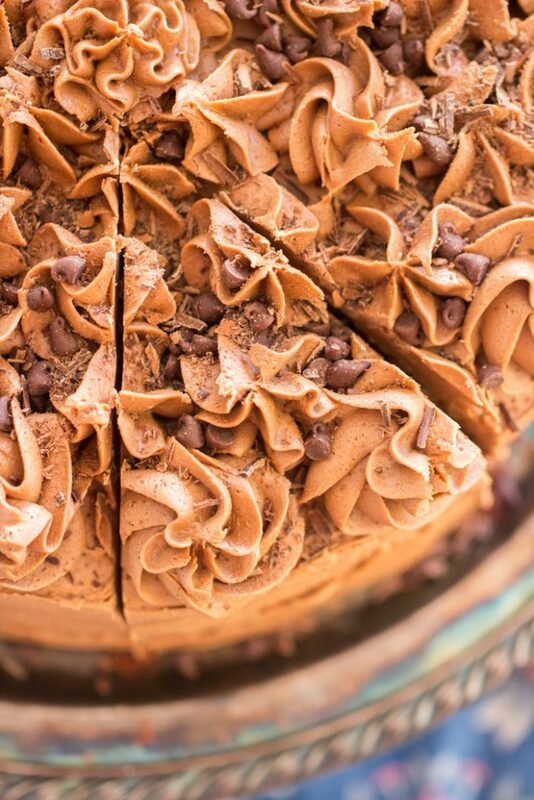 Cocoa in the cake, mini chocolate chips, and cocoa in the cream cheese frosting. Super simple idea, and equally easy execution (just add chocolate! ), but it makes for an extremely unique carrot cake! It’s not outrightly super carrot-y (but then again, neither is classic carrot cake), and you wouldn’t necessarily identify this as carrot cake unless I told you, but once you know, then you’ll see how it’s a Chocolate Carrot Cake. 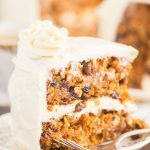 The carrots mostly enhance the texture, and make this cake incredibly moist, but they also add a touch of sweetness, and a subtle hint of classic carrot cake goodness. It’s dense and moist, but still soft. 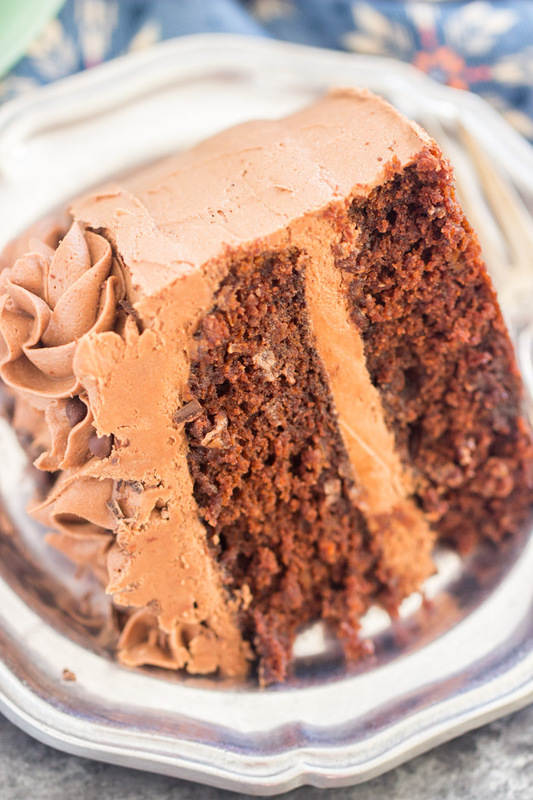 Carrot cake’s essence is a lot to do with spices, and we still give this Chocolate Carrot Cake all the right amount of spice! 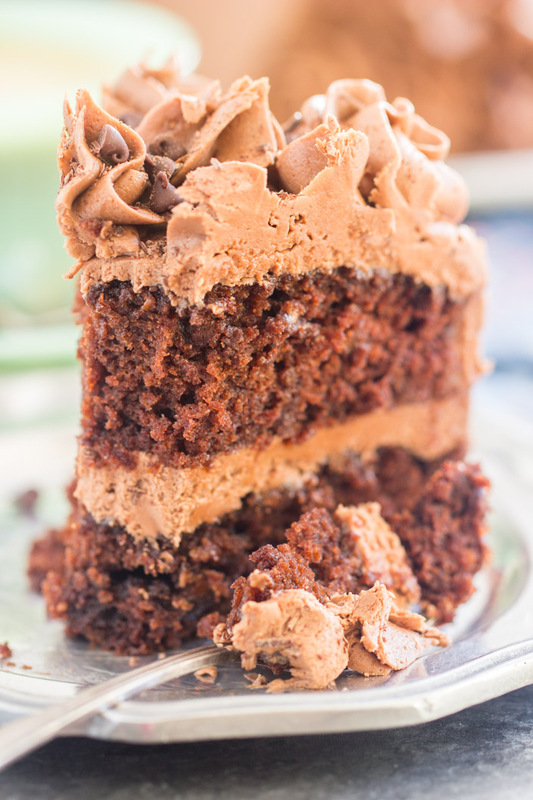 The chocolate cream cheese frosting is dynamite because ANY cream cheese frosting is AMAZING. 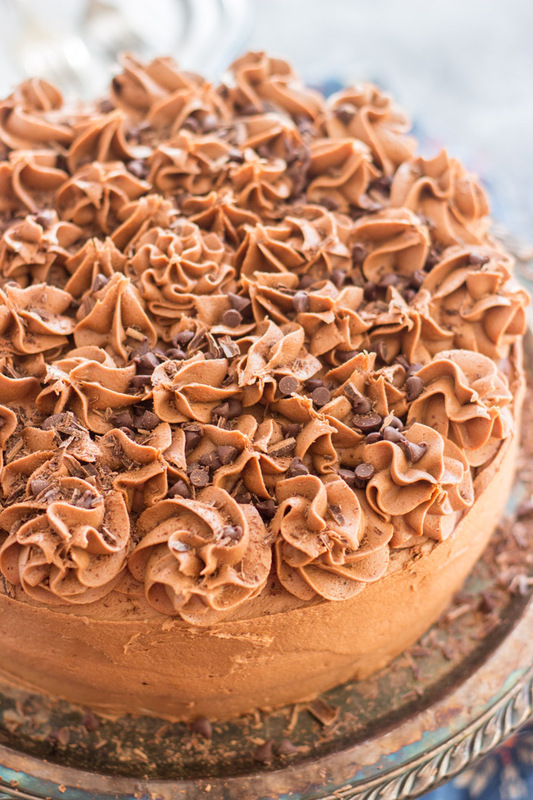 Aside from Brown Butter Frosting (oh, shoot, Nutella Buttercream is phenomenal too.. and Peanut Butter Frosting! Eek. 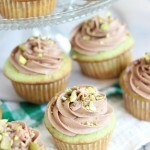 ), there is NOTHING better than a good cream cheese frosting. 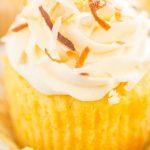 Cream cheese frosting might be my all-time fave frosting. If done right, it cannot be beat. I love it to be really loaded with cream cheese and very creamy! Don’t you?? I did not want to overcomplicate this Chocolate Carrot Cake recipe by adding nuts, but they’re a usual suspect in regular carrot cake, and if you’d like, I think walnuts or pecans would both be great, but I personally stuck with just chocolate chips to give this Chocolate Carrot Cake some extra chocolate punch. 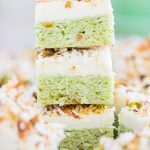 If you’re looking for a recipe for Easter or a springtime occasion that’s equal parts whimsical and classic, then this is the one to try. Other favorite Easter/springtime recipes to check out are these Easter Chicks Lemon Cookies — they’re the easiest cake mix lemon cookies, decorated with just a few ingredients to look like adorable chicks. So fun with kids! 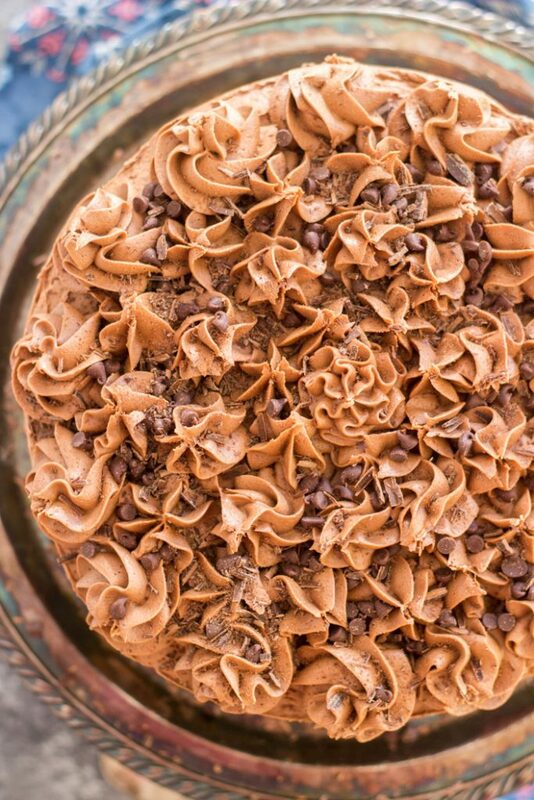 This Bird’s Nest Chocolate Chip Cookie Cake is just the perfect dessert. A soft, chewy, thick chocolate chip cookie cake, with classic buttercream frosting, and decorated to look like a bird’s nest. Super simple, but so delicious, and so festive. And I have to mention these Amish Sugar Cookies … they’re THE BEST sugar cookies, and great for ANY occasion. The Lemon and Orange ones are awesome for springtime). Everything you love about classic carrot cake, right down to the cream cheese frosting, but madeover with a heap of CHOCOLATE! 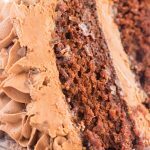 This Chocolate Carrot Cake is an epic twist on a classic, and you'll love the unique flavor and texture of this ultra-moist cake! In a large bowl, stir together flour, sugar, cocoa powder, cinnamon, ginger, baking soda, and salt. Add eggs, oil, vanilla, and carrots, stirring until just combined. Divide batter evenly between two well-greased 9-inch round cake pans. Remove to a wire rack to cool for 10 minutes before removing from pans to wire racks to cool completely. Meanwhile, prepare chocolate cream cheese frosting. Beat in vanilla and 2 tbsp. heavy cream. Add 4 cups powdered sugar and cocoa powder, beating until thick and creamy. Add additional powdered sugar and heavy cream, as needed, to achieve a frosting of medium consistency. Thick, but spreadable, and will not run off the cake! Place one cake layer on a serving plate, and cover it with 1/3 of the frosting. Place the second cake layer on top of the first, and spread it with 1/3 of the frosting. Use remaining frosting to frost the sides and to pipe on top using a star tip. If desired, sprinkle with mini semi-sweet chocolate chips. Allow 20-30 minutes for frosting to set. Cut and serve. 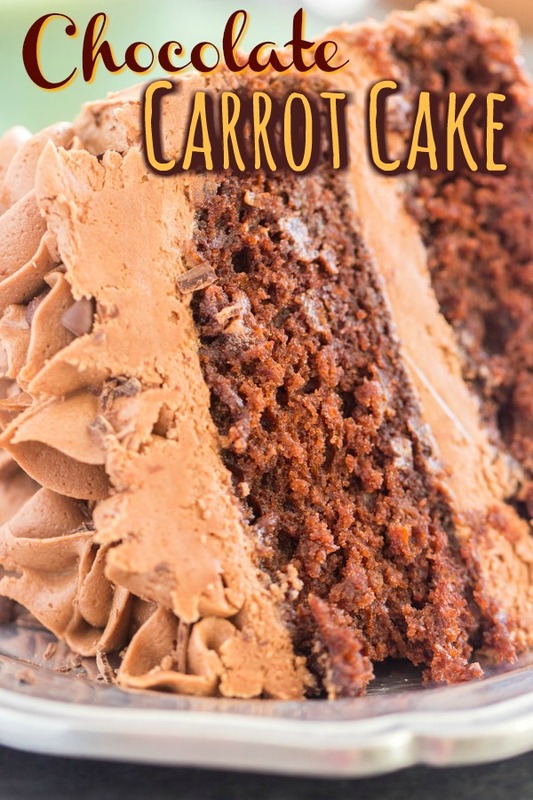 Would this chocolate carrot cake recipe work as cupcakes? I think that would probably work fine, yes! I would watch them at 12-13 minutes baking time, and then add a few minutes as needed til you get a clean toothpick. I’m actually making my banana cake right now as cupcakes, and I’m finding that it’s turning out fine. I know that’s not the same, but I feel like I usually have good luck with turning cake to cupcakes! Good luck!